Anyone with a serious interest in beauty trends will have heard of the ReFa rollers, devised for at-home use so that anyone can indulge in a little anti-ageing massage by themselves without having to make the trip to a spa or salon – ten million rollers have been sold globally as of July 2018, proving their effectiveness. 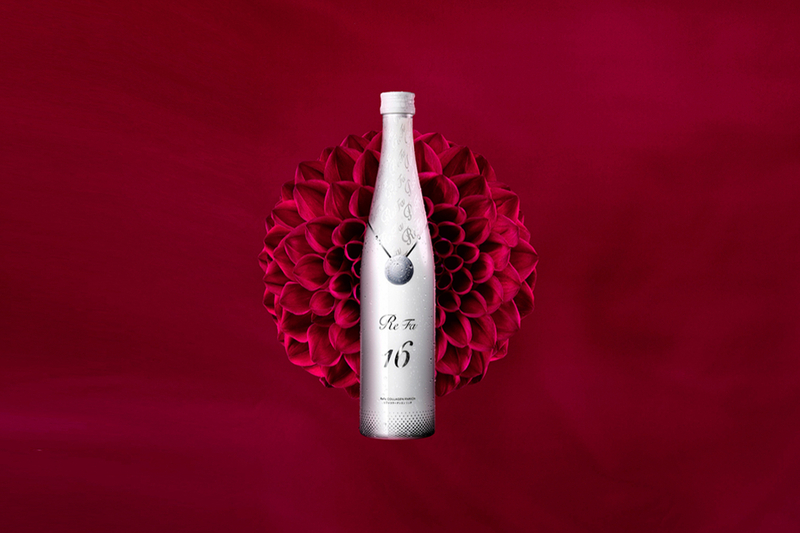 The brand ReFa, which has expanded its product selection to include over 40 different items, from various roller incarnations to results-oriented skincare, is now launching its first beauty drink, Collagen Enrich. Collagen Enrich beauty drink boasts a high concentration of collagen – 160,000mg of the stuff is packed into one 480ml bottle – with high purity, using first-extract collagen with 80 percent of impurities eradicated during the process. Thanks to an extremely low molecular weight, this collagen is easily absorbed into the system so it goes to where it’s needed most. The formula also includes Vitamin C and Cysteine Peptides, which increase the absorption rate, and comes in a mouthwatering mixed fruit flavour, ensuring that the consumption is as pleasant as the results. ReFa’s love affair with collagen first came to be when it was developing its cult beauty roller, stumbling upon Fujifilm, which had worked extensively with the protein collagen, it being a key component in photographic film, with whom ReFa collaborated on this product. Collagen, of course, is the main structural protein found in skin, and deficiency of it as time passes is one of the key issues faced in skin ageing. The elegantly designed vessel, which resembles a champagne bottle, contains 32 servings of this precious elixir, with a daily recommended serving of 15ml a day, meaning that a single flask will last you more than a month.